Have some fun experimenting with your mobile phone photos. 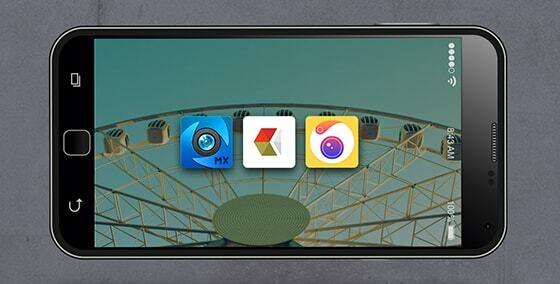 We’ve compiled a list of apps that will help improve your picture quality. They’re also based on level of difficulty – so if you’re still new to photo editing apps, you can start off easy and work your way up! And you can always check back with our Creator Tool to see whether your pics pass the quality check with our smiley guide and icons. So what are you waiting for? Check out the apps below! Perfect for the beginner, it’s a fun and simple photo tool that’s easy to use. You have basic editing tools such as cropping, brightness and contrast along with classic features like zoom and a self-timer. It has a bunch of filters with really cool effects for all your photos. A big bonus is that Camera MX allows these filters to be viewed in real time – so you see direct results on your photos before you snap! Using GPS info, it also lets you pinpoint exactly where your pictures were taken. You can create a slideshow with amazing transitions and photo filters, pair it with your favourite tune and then easily share them on Facebook, Instagram, Flickr etc. A camera stabiliser with an indicator? Check. Full screen shutter, so you can tap anywhere to activate auto focus? Check. 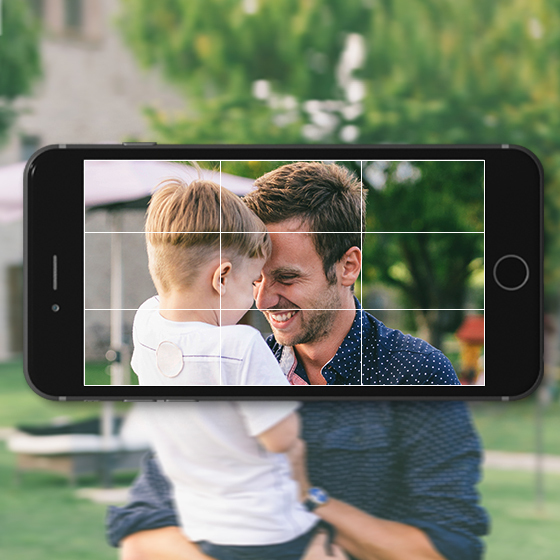 Say goodbye to unfocused and blurry photos and hello to good quality snapshots! This app supports the clever Voice Activated mode so you can capture photos just by saying something loud to the camera or even whistling! Another feature is burst mode – which takes up to 10 photos in 1 second, making it perfect for action shots and pets. It’s a photo editing playground with over 40 fun filters and effects, ranging from frames, colours and filters for you to experiment with. You can even get creative with an addictive randomiser effect button that is guaranteed to keep you tapping! A complete camera enhancement tool for users who want the world at their fingertips! It’s got a wide range of amazing effects and features, giving your mobile snaps a professional look. For the selfie addicts, Camera 360 Ultimate as an alternate shooting mode dedicated solely for you! Magic Skin has filters that are designed to smooth out wrinkles, remove dark under eye circles and make your lips redder thereby helping your portraits look better. It consolidates all your photos in a cloud platform where you can manage, edit and share them all from one place! You also have the option to pick and save your preferred Camera Mode as well as your favourite filters, giving you the freedom to customise your app. A rather popular camera replacement app, think of Camera + as an upgrade from your standard camera. It has the ability to set exposure and focus and lock them in place, a stabiliser and an anti-shaking setting. It also has live preview for your effects and filters. Its Clarity function works like HDR, bringing out details from your photos and improving its quality. You can use this feature with underexposed images and even overexposed ones, like the ones taken in the shade on a sunny day. And finally, this app also has a cloud function separate from your camera roll called Lightbox. As you snap, they’ll appear on Lightbox and you can conveniently manage, edit, share or save them from here. Choosing to save photos here stores them to your camera roll, so only the best ones make it to your album. If you follow some of the popular photographers on Instagram, chances are that they use VSCO Cam. And there are bunch of reasons why. With a minimalist interface, once you get used to the layout, it lets you create great looking shots in only a few steps. VSCO Cam allows unique creative control with advanced camera controls. They have nice pre-set filters for your photos and of course you have the option of fine-tuning them as you like. Clicking on the wrench button will take you to traditional photo editing tools like cropping, saturation, exposure etc. When you’re done editing your pictures, you can simply save them to your camera library or share them. VSCO Cam’s Sync tool automatically syncs up your VSCO photos across your devices. There’s a reason why this app is called ProCamera – it’s because it mimics some DSLR functions into your smartphone. It actually contains a manual so you can familiarise yourself with its functions. It has a detailed control panel with Night Camera mode and a 3D Tiltmeter so your pictures are always straight and aligned. Its HDR functions are accurate enough for you to snap fast moving objects clearly, without that ghost effect. This app offers more than 70 pre-set filters and effects which are grouped into categories for easy navigation. It also uses Lightbox – a cloud sharing feature separated from your camera roll. Manage, save and share your photos here without clogging up your library with all your snaps. We hope this list gets you excited about the endless possibilities you can achieve with your mobile pics! So get out there and start downloading! With a few swipes and clicks, you’ll be equipped with the best quality photos to create gorgeous keepsakes with all your best memories.